Earlier this week, ComicBook was able to independently confirmed with Warner Bros. Television that Supergirl would see General Zod join its extensive cast. Mark Gibbon was cast to play the famous Kryptonian, and it looks like the actor is already deep into his role. Thanks to Hollywood North, a slew of set photos and videos of General Zod acting opposite of Supergirl have hit the Internet - and he doesn’t seem all to pleasant. 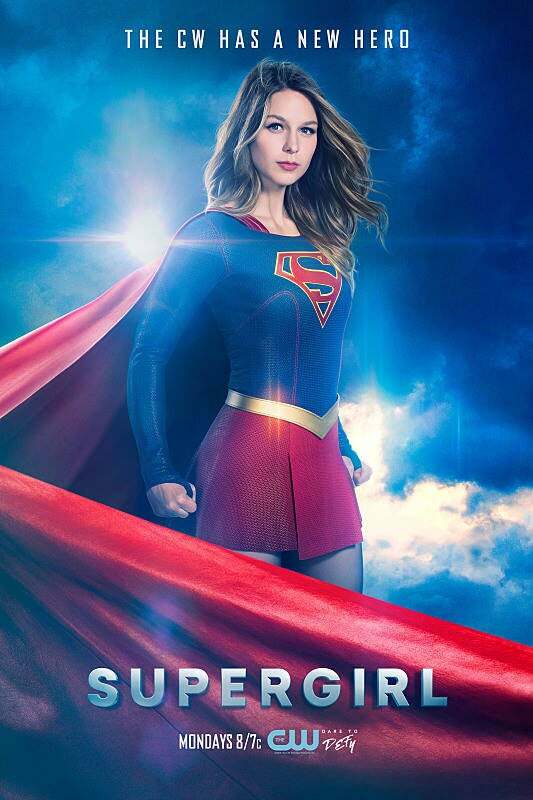 In the images below, fans can see Melissa Benoist dressed as Supergirl as she stands atop a crumpled car. It is there the heroine comes in contact with General Zod who is seen wearing an imposing black ensemble. In one of the photos snapped, fans are able to see Gibbon mime General Zod’s use of heat vision, so it looks like the Kryptonian warriors will not get off to a great start. Twitter user @ThemysciraBound was even able to snap a short set video of Zod where the baddie can be heard asking, “You actually care for these Earth people?” It is unclear whether the character is speaking with Supergirl or Superman as Tyler Hoechlin is set to reappear in show’s season finale. For now, fans know that Zod will appear in Supergirls season finale, but no one knows what kind of impact the character will have. It is uncertain whether Zod could become a full-on villain in future seasons of Supergirl, but fans don’t anticipate the show to segue too heavily into the alien for the time being. Supergirls season finale will also see Superman and Cat Grant make a return, so screentime will be crunched as is. "Alex” episode of Supergirl airs Monday, May 1 at 8 p.m. ET/PT.